I love painting the coast. 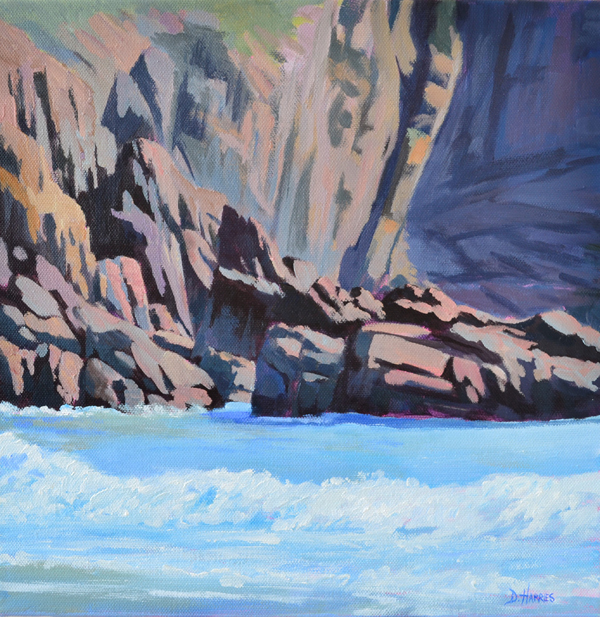 This is a scene along the Pembrokeshire coastal path, with the warm afternoon sun casting shadows across the rocks. Acrylic painting on canvas 30x30cm in white wooden frame, ready to hang.